“A raga is a formless form – formless because it represents only a possibility of an aesthetically coherent and emotionally satisfying manifestation. 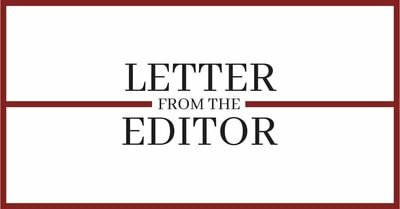 And, a form because it has distinct and recognisable contours,” prominent musician and musicologist Deepak S Raja has said. 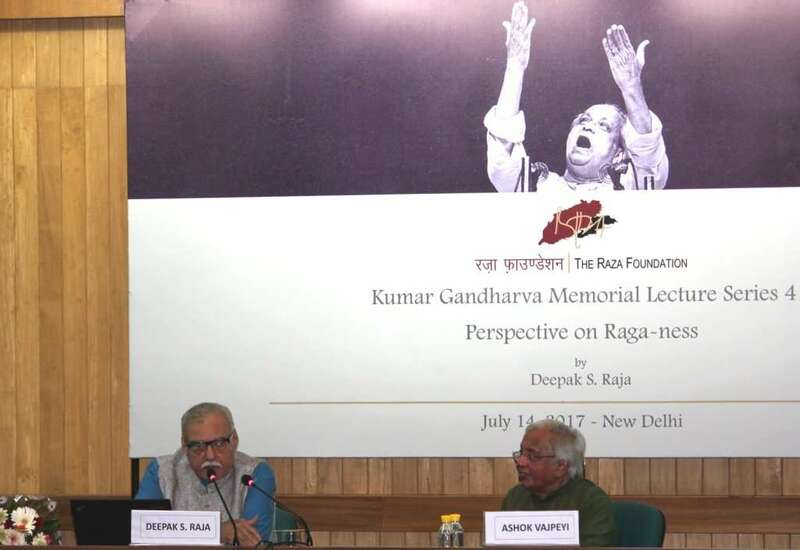 Exploring a musician’s relationship with his art and how this relationship is shaped by the phenomenon of the raga, Raja spoke in detail while discussing the topic, ‘Perspective on Raga-ness’ at the Kumar Gandharva Memorial Lecture Series organised by the Raza Foundation here in New Delhi. The author of ‘The Raga-ness of Ragas: Ragas Beyond the Grammar’ drew upon several aspects like defining ragas as a linguistic statement, its relationship with cultural memory and the notion of a raga as a transcendental entity to present a collage of perspectives that simplified the context of ragas. But in the present context of raga-ness, this objection can be questioned, he argued. “Each raga qualifies almost entirely as a linguistic statement, and is understood by the members of the raga music community – just as a statement in any spoken language is understood by its ‘native’ ethnic-linguistic community,” he said. Another aspect he touched upon was how magically a raga transforms itself into melodious compositions when performed by artists and how each time it manages to elicit a different response from the audience. “It draws on the cultural memory. The association of the sound patterns of a raga with their meaning reside in the collective unconscious, just as the association of words in a spoken or written language reside in the memory of the culture in which the language has evolved,” he said. In Hindustani and Western art music, music theorists share a divergent view when it comes to giving the status of the ‘commanding form’ to ragas and compositions (bandish). According to Raja, the proposition that which of the two plays a pivotal role in constructing a melody will always be debatable. “In Western art music, American philosopher of art, Prof. Susanne Langer, accords the status of the commanding form to the composition because it is the composition which determines the entire process of invention and elaboration. Whereas Prof. Susheel Saxena argues that, in Hindustani music, the raga rightfully occupies this status,” he said. 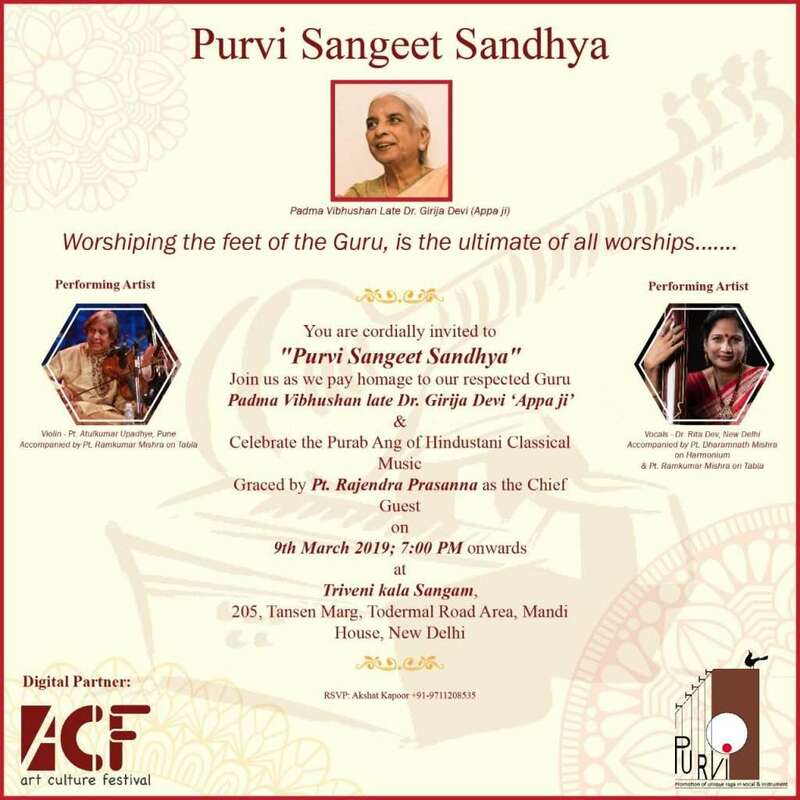 Connecting all these perspectives together, Raja focused on the contributions of Hindustani proponent Kumar Gandharva, who was known not only for his unique voice but his refusal to be bound by the tradition of any gharana. “He took Hindustani music closer to its origins in the song. He did so by circumventing the raga as the commanding form of performance; he freed his music from the formal aloofness of the major gharanas, all of which were the products of the colonial-feudal-elitist era,” he said. “He freed himself even from the notion of raga-ness in his bhajans, which remain in wide circulation even today. Also, in all his music, there is a calculated carelessness, which has often been attributed to his involvement with folk music,” he added. This is why, Raja said, the notion of raga-ness cannot be meaningfully discussed without reference to the contribution of Kumar Gandharva. “Because of his comprehensive rebellion against the values that dominated Hindustani music at that time, he could have been dismissed as an insignificant maverick. But it was impossible to deny his musicianship, and the impact he made with his uncanny access to the soul of ragas. His music was not easy to understand. But he influenced the aesthetic values of successive generations,” he added.